The Samsung Galaxy S GT I9000 handset can be updated with a new custom ROM. This time I will show you how to install the version 7.3 of the Amestris ROM into your phone’s system. The firmware will be bringing numerous features so that you will be able to change the looks of your device and also improve its capabilities. 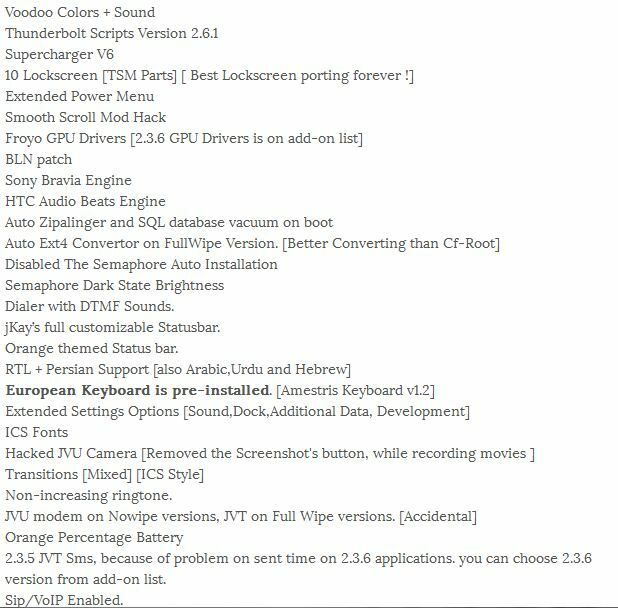 Also, this version is including bug fixes for resolving the issues reported by users who experienced the previous variants of the same ROM, this being the most stable software released so far. Be aware that dealing with a custom ROM you will void the Samsung warranty. Be careful in what you do and follow this step by step guide for avoiding the unpleasant situations. Also, this is not an official update released by Samsung and has nothing to do with the already mentioned company; all you do, you do it by your own risk. Now, as any ROMs available out there, the Amestris features its own software, meaning that it will bring specific features and capabilities for your Galaxy S GT. There will be added many tools which will power up the performances, so your phone will gain speed, the appearances will be improved, the battery life will get better and the OS will be opened for optimization and customization operations. The Amestris ROM is being based on the official JW1 Samsung firmware so I don’t recommend you to apply this update if your S GT I9000 is running anything else different of the JW1 software. The OS upgrade will bring the Orange Magic experience to your device, a screenshot with the firmware running on a Galaxy S phone being illustrated below. Now, here is the list of the features which will be added once you install the Orange Amestris v7.3 Custom ROM on your Galaxy S GT I9000; check it and see if you find it satisfying enough in order to start flashing the same. For being able to apply the update you must perform a full wipe. So, take your phone and reboot it by entering in recovery mode. The recovery mode menu can be reached by holding the Volume Up and the Home key buttons simultaneously while powering on the phone. From the menu that opens choose to wipe the data and cache stored on your smartphone. Download SMS backup and restore. Download Call log backup and restore. There are also other things that must be prepared. You must charge the battery for making sure that the phone will not turn off when updating its OS. Then, deactivate the antivirus programs installed on the handset or on the computer you will use. Finally, you must have a rooted Galaxy S GT I9000 or else you can’t update it with the Orange Amestris v7.3 Custom ROM firmware. Now, after completing the up mentioned tasks, you can take a look below where you have the proper tutorial explained and detailed so everyone can understand what to do. Do everything as in the steps. Download the Amestris v7.3 Firmware Package from here and save the file to the computer. Then connect the phone to the PC; use the USB cord for this. Now, copy the file downloaded in step 1 from the computer to the phone’s SD card. Disconnect the smartphone (remove the USB cable). Reboot by entering in recovery mode. This can be achieved by following the directions from above. Remember to perform a full wipe. Then, on the recovery mode menu select “install zip from sd card” and “choose zip from sd card” for being able to pick the ROM package placed on the SD card (see step 3). The installation procedure should take a couple of minutes; just relax until it’s done. Finally, when ended, you will be back on the recovery mode menu. Select “reboot system now”. If you experience force close errors you should perform a wipe again. In the recovery menu choose the “Wipe data/factory reset” and “Wipe Cache partition” options and then “reboot system now”. That should resolve your problem. For any other issue contact us through the comments area below. We well do all that we can for helping you out. Also do tell us how the Orange Amestris v7.3 custom ROM is running and looking on your Samsung Galaxy S GT I9000 smartphone.